First look at the upcoming Netflix bound thriller. One of the most talked about movies at last year's Fantastic Fest was director Richard Shepard's thriller The Perfection, now headed for a debut on Netflix. The psychological thriller stars Get Out's Allison Williams as a troubled musician who befriends the current star pupil of the music academy she attended. Logan Browning, Alaina Huffman and Steven Weber also star. 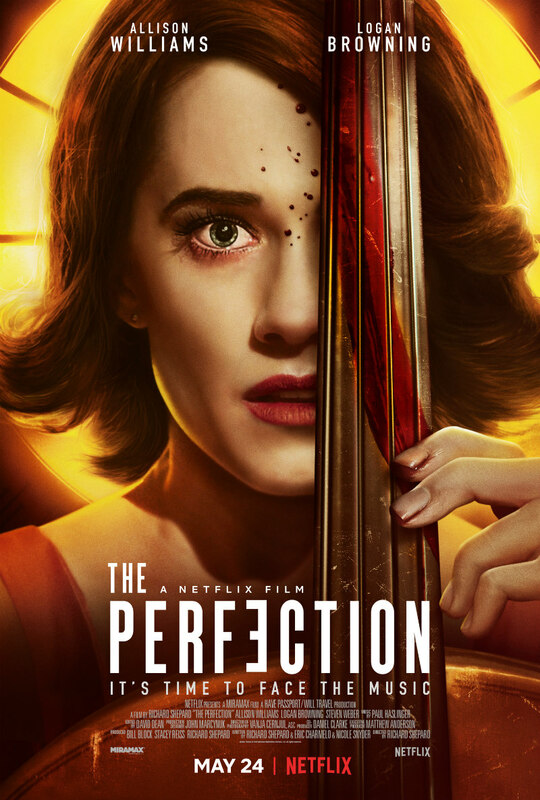 The Perfection will be available on Netflix May 24th.